This article is based on an address the editor delivered on the occasion of the 150th anniversary of the dedication of St Patrick's Church in Ross, Labour Weekend, 2016. Most of those who arrived on the West Coast of the South Island of New Zealand from 1865 onwards came from Victoria, Australia. They were ‘miners, publicans, merchants, rogues, remittance men, entertainers, bank officials, ... lawyers, doctors ... , and many a little fish in the big pool of Melbourne ... became a big fish in the little New Zealand pond.’ Having sought gold in Australia, they were now chasing it on the West Coast, and as one of them said, ‘We chased the gold and the priest chased us.’ Between a quarter and a third had been born in Ireland, and of these about 90% were Catholic in name, if not in practice. In 1865 there were about about 30,000 people living on the Coast, and of those, 7-8,000 were Catholics. Between 1865 and 1870, there were 3,500 miners on the Ross goldfields and they had 47 hotels to choose from for their leisure time! They also built a church, mostly of Baltic pine. According to Fr Jack O’Connor, the timber was imported for the building of a Masonic Lodge, and the Lodge did not have the money to pay for it. 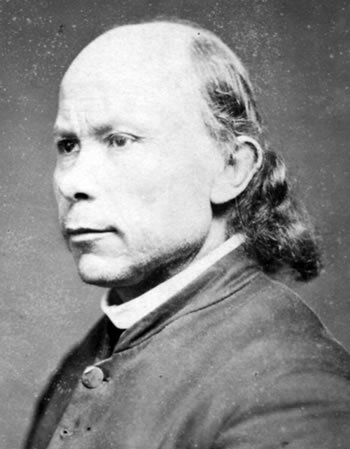 Philip Ross May wrote that Irishmen bought the cargo and built the church. The altar in the church is made from silver pine, donated by a local sawmill. 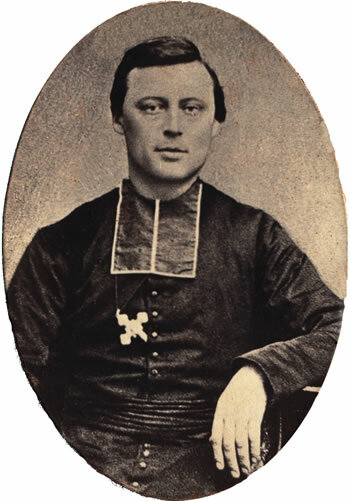 The church was opened by Bishop Philippe Viard in May 1866, and dedicated by him on 21 October of the same year. The sanctuary T-section was added in 1869 to accommodate the growing population. It seems that the front porch was not added till about 1900. In the 1980s, Owen Tomasi and his son Peter restored the pews and floors, and laid carpet in the aisle and sanctuary. After he retired in 2005, Malcolm Rochfort of Ross looked after the grounds and any general maintenance required. To give some idea of how busy the church was, during the years from 1869 to 1920, there were 1,020 Baptisms in this church, 575 Confirmations, and 157 Marriages. 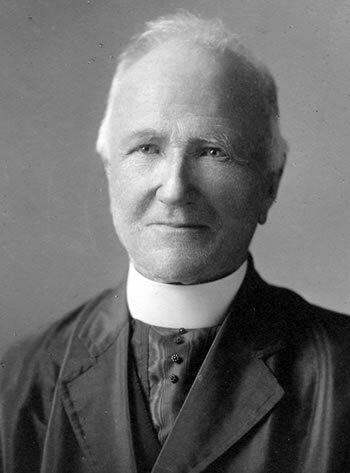 In the ten years from 1869, when a priest first lived in Ross, there were 312 Baptisms. 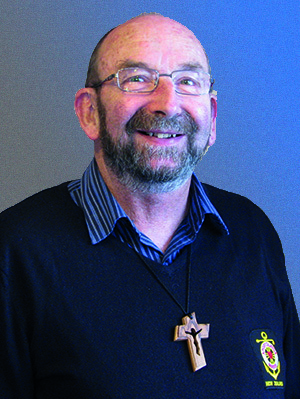 The first parish priest of Ross was Fr John McGirr, who lived in Hokitika, having arrived there in late 1865. He came by way of Victoria, an Irish diocesan priest who had been a chaplain in the Indian Army with the 18th Royal Irish. He was not without fire in his belly, taken to court after fighting with a teacher in the Catholic school. 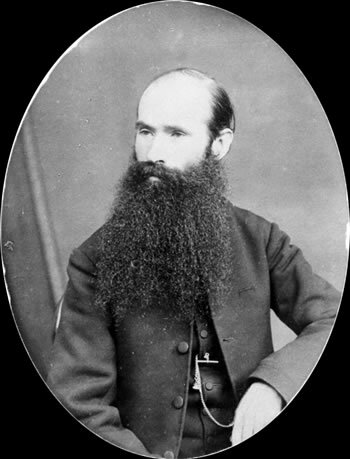 The court found no case against him, but Bishop Viard advised him to return to Melbourne. 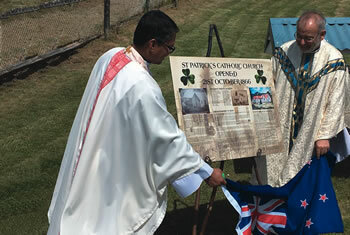 Hokitika had a public meeting to raise some funds for him, and admiration was expressed for him as a Christian pastor. Another account has it that ‘the press hailed the departing priest as a messenger of peace, harmony and good will who had adorned the ministry. In acknowledging the presentation, which took the form of a massive gold watch, Father McGirr said that in all his experience he was not conscious of a single contention with anyone,’ -- clearly the ‘contention’ with the teacher had slipped his mind! 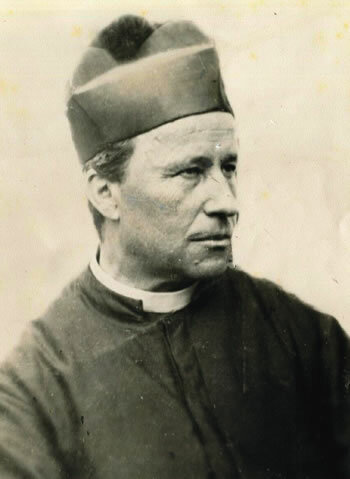 The first parish priest to live in Ross was Fr Jean Antoine Goutenoire sm, appointed by Bishop Viard in 1869. He was said to be ‘a very fluent speaker with a strong French accent...loved by everyone.’ The first Baptism in the Ross register is recorded as being that of Catherine Byrne on 20 June 1869. It is unlikely that hers was the first baptism in St Patrick’s church as the Hokitika registers, which begin in 1865, do not indicate the place of residence of the person being baptised, and some of those baptisms would certainly have taken place in Ross. It is unclear who started the first school in Ross in 1868. What we do know is that Miss Lonergan was its first teacher, and classes were held in the church. A school was built in 1871. The first marriage in the Ross register is that of the school teacher, Miss Annie Lonergan, who married Mr John Hayes. The West Coast Times of 9 December 1868 records an earlier marriage, that of Miss Helen Corry to Mr Patrick Healey, on 7 December 1868. Undoubtedly there would have been others, from 1865 onwards. 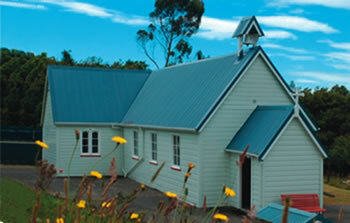 The Sisters of Mercy had arrived in Hokitika in October 1878, and came to teach in Ross in 1889. After Fr Chareyre came Fr Patrick McGuiness sm, from County Leitrim, Ireland. He was full of energy and enthusiasm, an excellent preacher and musician. When Archbishop Redwood visited from Wellington, ‘His Grace discovered what a light the Ross people had under their bushel. He promptly promoted Fr McGuiness to Wellington.’ He was given a bag full of sovereigns and a rousing send-off in July 1875. 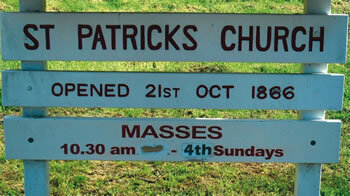 So there is a little of the history of the first ten years St Patrick's church. 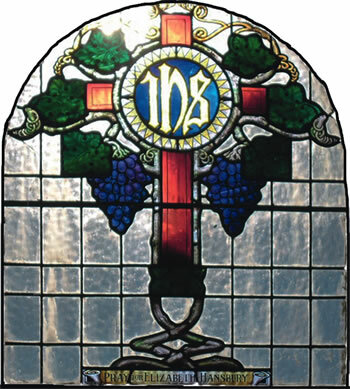 May we rejoice in a sense of gratitude for those who built it out of love for their Catholic faith, and for those who, out of that same love, have honoured their faith and their ancestors by preserving it.